Welcome to the 190th edition of Tranquility du Jour: A Guide to Bringing Tranquility to your Every Day. Today’s show features happenings and musings on art journaling with Hope Wallace Karney. 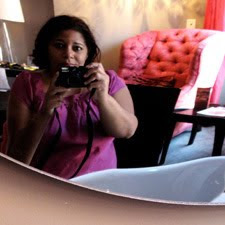 Tranquilista Lifestyle: Joie de Vivre E-course: Join me for a 7-week e-course focusing on the outlined in Tranquilista. Our six sessions will highlight ways to shape your world with spirituality, do-gooding, creativity, style, and entrepreneurship. Oh, and if you do your OMwork, you get to choose a complimentary TranquiliT piece! Launches June 23. Workshops + Retreats: Consider joining moi in LA and Portland June 23-28 (details here), a Tranquilista Retreat at Kripalu July 5-9, Texas in August (details to come), and a Yoga Retreat in India November 12-21. Hope Wallace Karney is a self taught artist and designer living outside Baltimore. Hope is known for mixing old elements with modern aesthetics to create unique and whimsical designs for her greeting card line, Paper Relics. Her work has been featured in several national magazines, including Mary Engelbreit’s Home Companion and Country Living. Hope also works as a freelance designer, assisting small, creative companies develop identities and grow their businesses with print and web services. Hope also teaches online journaling classes, sharing her love of art journaling with others across the country. Learn more about Hope at her website, www.paperrelics.com. OMwork: I challenge you to do a little art journaling this week. Try it, you'll like it! Promise. Signature Style: A line of layers in rayon made from organic bamboo. Locally sewn. 150 trees planted each month. 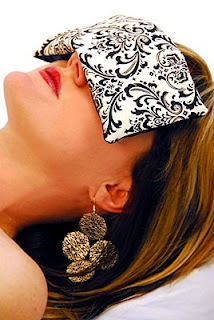 Featured item: eyepillow. Au Revoir: To close out the show, we’re playing Pudong New District by Shanghai Restoration Project. You can learn more about their music at shanghairestorationproject.com. I would love to take part in your latest online course starting in June but am flat out right now and couldn't give it the energy it deserves. Is there a chance you would be running it again in the future?